Stop wasting time scouring court websites or reaching out to authorities for the most up-to-date Military Affidavit. See how LEAP helps attorneys save time and make more money. 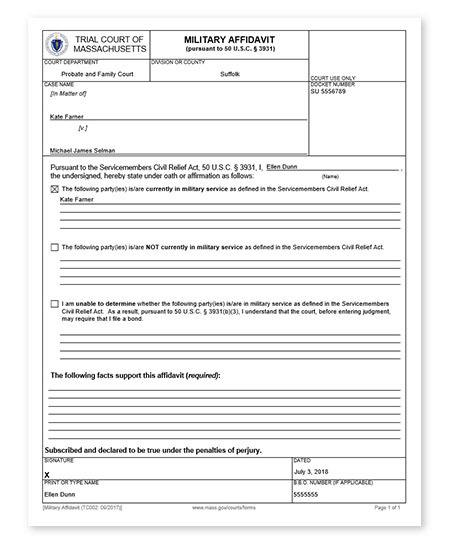 The Military Affidavit records the Plaintiff’s knowledge about whether the Defendant is currently in military service pursuant to the Servicemembers Civil Relief Act, 50 U.S.C. § 3931. It must be filed where the Plaintiff is seeking to have the court issue a default judgment.